Subtitle: I’m playing the villain, baby. Just like you want. I love Maleficent so much you guys. I love her desperately. 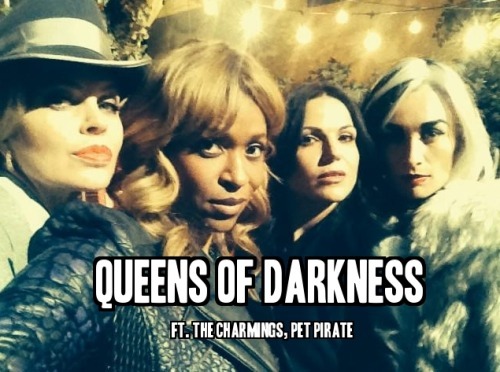 The main plot of this episode is Regina infiltrating the Queens of Darkness to determine what they are doing, and why. The Queens aren’t so sure that the Evil Queen really belongs in their bad girl group since she’s been hanging out with the Heroes all these years (morals are so catching, y’know?) so they test her resolve. They go for a joy ride and play “Don’t be a Hero” at the train tracks — rules being first one who saves them loses. Regina saves their asses and points out that four powerful villainesses killing themselves is kind of a HUGE VICTORY for the Heroes. Okay, that’s not what she said but that’s the reality. They burn Sheriff Charming’s car. And they have a party in her vault. And don’t clean up. — and loyalty proven, Regina is accepted into the Inner Circle and learns a) Rumple is back in Storybrooke, b) Rumple is in charge (SIGH), c) Rumple has the dagger — which he uses to turn Pinocchio back into Eion Bradley. First of all, Rumple got the dagger back by approaching Belle disguised as Hook. This is fifty shades of gross but that aside does he really think the Pirate Pinky Promise he extracted from her is going to keep this secret unknown? It should be really really easy for this to come out. Regina tells Emma, Emma talks to Belle, Belle admits she gave it to Hook since if Rumple already has the dagger it’s okay to talk about (! 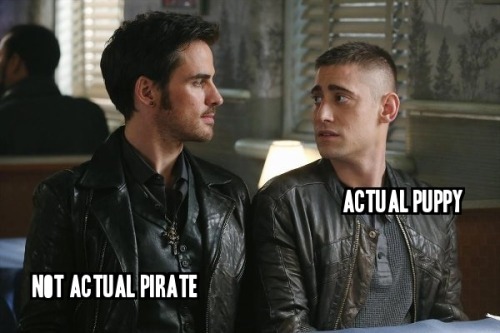 ), Emma talks to Hook, he knows nothing, Regina realizes that he must have been in disguise as Hook since, hello, that always happens. Of course a few things could, and probably will, derail this revelation and they fall under the Poor Communication Umbrella that describes all interaction in OUAT but most especially all interaction in OUAT where Rumple’s plans depend on the rest of the crew’s poor communication. Thing is, if it was just the Attack of the Poor Communication Umbrella, okay, that’s an ongoing issue that the characters in the series have to deal with. But it’s now Rumpletstiltskin taking advantage of the Poor Communication Umbrella and I am just sick to death of his machinations. Like Emma, I really want to believe in Regina. But it’s hard because the show tends to be more interested or invested in her failure. And now the kid that Regina promised to protect has been turned back into a grown man and I don’t even know what the good/right/heroic choice IS? So that’s…really interesting. But scary. Now back to my glorious dragon, Maleficent. The episode is named after her, but it’s not really about her. Have you seen the film Girl, Interrupted? Regina is Susanna and Maleficent is Lisa (it’s totally only a coincidence that Angelia Jolie won an Oscar for that role). Regina wants, but it’s an amorphous want. She wants revenge but she doesn’t know what that means or what it looks like. She wants power but she doesn’t know what to do with it. She meets Maleficent, first as a story — the girl who can turn into a dragon, who laid waste to an entire region — and she wants to be like her. Even the parts she doesn’t like, after she meets her, are still glamourous. Maleficent, like Lisa, represents someone who refuses to be what anyone wants her to be, who gets by on rage and spite and has to drug herself to put up with the world at all. I love her so much. Regina’s starry-eyed hero worship of Maleficent (which is a lot like Emma’s starry-eyed absolute trust in Regina) helps Mal reconnect with her inner dragon but it’s Regina who learns a lesson: patience is power. 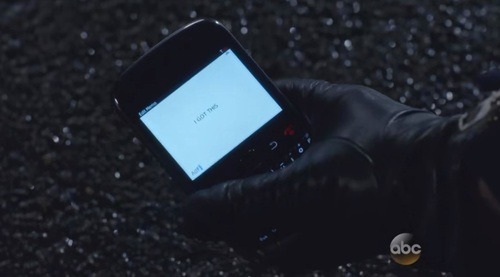 Given that, I’m hopeful that Regina really is in control of her situation, at least as much as she can be. I’m also hopeful that if it came down to Regina vs. Rumple Maleficent, at least, would choose Regina’s side.